If you do then my condolences, but you probably don’t. And if you don’t then however bad your day at work was, it’s probably not as bad as the network admins over at EA. How is it that everyone except EA themselves could see this one coming? 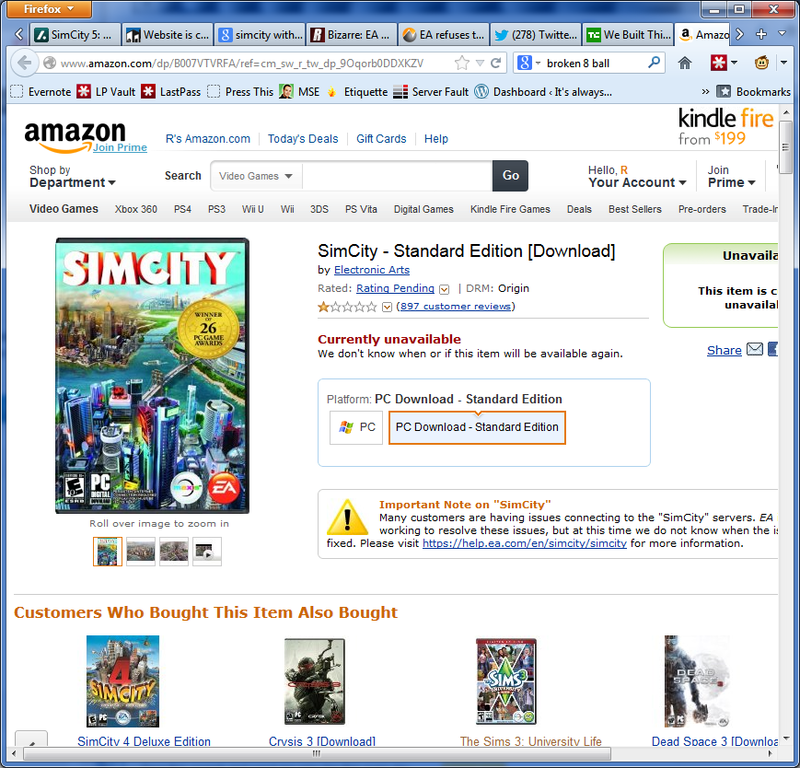 For some time now EA and Maxis have been working on a ‘reboot’ of the massively popular SimCity game. As part of the run up to this launch EA announced that the game would require an always on connection to the Internet, because whether you want to or not you pretty much have to play the new game as a shared ‘online’ experience. This decision was somewhat controversial, as you can see from the SimCity ‘ask me almost anything’ session on reddit. You may want to compare that to the EA/Maxis site summary of the amaa session to see how concerned about the issue EA were. Their new ‘reboot’ of SimCity launched this week in the states and… well… it seems no one can reliably connect. Who’d have thought it. T he online gamer and techie blogs and media are having a field day. And why not? Amazon appear to have withdrawn the game from sale. EA are turning off some of the much vaunted features that they claimed would attract people to online multiplayer gaming in the first place and it’s still not working. I can’t see them recovering from this kind of customer response any time soon. Sticking with metacritic for the moment, a better question might be how on earth could a game that no one can play have possibly got over 90% in 5 reviews? Isn’t this rather embarassing for those reviewers? How on earth could it have gone so wrong? What were EA thinking? What on earth kind of poor, badly tested infrastructure have they used for their servers? Did an EA executive thunder “failure is not an option” at their subordinates? 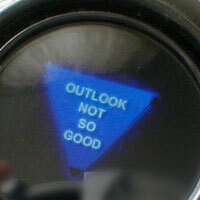 Did someone refuse to consider the risks, or work on contingency plans due to blind faith that things would just be ok? Did EA fire their network/server infrastructure architects and replace them with a room full of monkeys shaking magic 8 balls? Outlook not so good, EA. Not so good at all. FAILURE IS NOT AN OPTION IT’S A MANDATE!